Delhi, the capital state of India, although being a remarkable tourist destination, is sadly one of the busiest cities in the country. Most of the people, who live in or nearby the country’s capital, are often plagued by the hustle and bustle of the traffic laden roads and dense population dispersion. Totally exhausted by the busy lifestyle, all a man needs is a getaway where he can escape to a serene place rich with natural beauty , there can be no other place other than a hill station for one to find a calm and soothing environment where he/she can become one with nature and find some peace. We have prepared a list of 15 hill stations suitable for a quick getaway from the concrete jungle to a natural one. Situated on a hill top in the Shiwalik hill range, Nahan is the headquarters of the Sirmaur District. The town lies on an altitude of 932 meters above sea level, it is a well laid picturesque town, with places to visit such as Renuka Lake, Paonta Sahib, Trilokpur temple and the Suketi Fossil Park. The town roads and streets are well planned which keep the traffic easy and most of the pedestrians travel through the narrow fields in order to avoid traffic enabling quick travel. With its pleasant climate all year round and picturesque landscapes, Nahan is a brilliant place for a quick weekend getaway as its one of the nearest hill stations from Delhi. This small Industrial town located in the solan district of Himachal Pradesh is spread randomly across the Shiwalik range at an altitude of approximately 470 meters above sea level and in a radius of around 4 kilometres. It houses the largest fruit processing unit of HPMC, as usual with most hill stations, the town has a pleasant climate and most tourists who have visited the place recommend it highly, a resort with a cable car transport also lies a few miles north of the town near the Shimla highway. Some of the famous places which you can visit in Parwanoo are the Cactus garden, Mansa Devi Temple, Shri Balaji Temple, Gurkha fort and Sweet fruit orchards. Lansdowne is a cantonment town in the Pauri Garhawl district of Uttarakhand and is one of the. It is situated at an altitude of 1,700 meters above sea level and is surrounded by thick oak and blue pine forests. The weather here is pleasant and will leave a lasting impact on your mind as its perfect for meditation. Adventure activities like, trekking, bird watching, boating, paddling etc. can be done while a visit to Lansdowne. The places you must visit when in Lansdowne are Tip n Top Viewing (offers excellent views of surrounding shivaliks), Santoshi Mata Temple, Regimental Museum (also called the Darwan Singh Sanghralaya), Bhulla Taal, St. Mary’s Church, Lover’s lane, Tarkeshwar Mahadev temple, Bhairav Garhi temple, Bhim pakora (a stone which vibrates if touched).The Annual ‘Sharadotsav’ (Festival of Autumn) is also organized during the autumn season. Set in a valley containing a pear shaped lake, Nainital is located at an altitude of 2,084 meters above sea level at the Kumaon foothills in Uttrakhand. 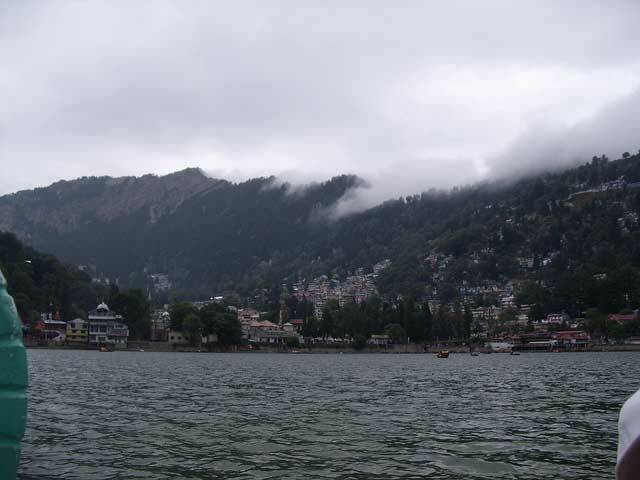 The maximum temperatures never exceed 27 degrees Celsius in summers; Nainital enjoys a cool pleasant weather almost all year round. The places of prime attraction in Nainital include Nainital Lake, Naina Devi Temple, St. John in the Wilderness, Governor’s House, Snow View, Naini Peak also known as China or Cheena Peak or Naina Peak, Tiffin Top also known as Dorothy’s Seat, Pt. G.B. Pant High Altitude Zoo, Gurney House, the former residence, of Jim Corbett and Eco Cave Gardens. 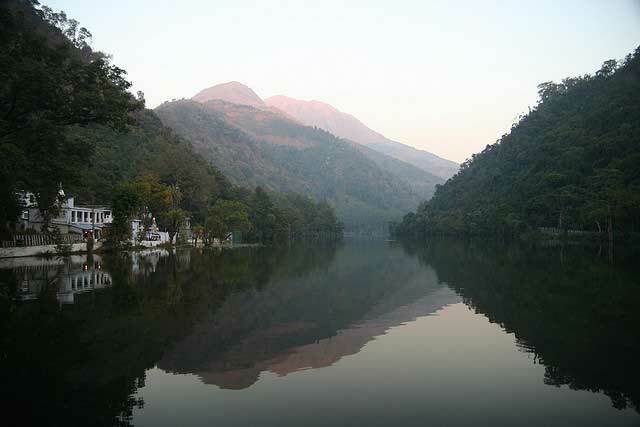 Nainital is a popular hill station and the headquarters of the Nainital District. 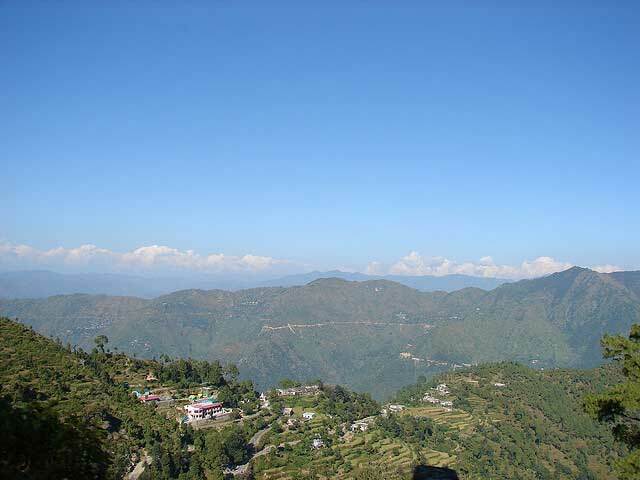 This picturesque cantonment town is situated 1,869 meters above sea level in the Almora district in Uttrakhand. The climate here gets very cold in winters and stays moderate in summers; the best time to visit Ranikhet is between March till October. The forests surrounding Ranikhet are home to a varied mix of wildlife which includes leopard, leopard cat, mountain goat, barking deer, sambar, pine marten, Indian hare, red-faced monkey, jackal, langur, red fox, and porcupine. The places to visit in Ranikhet are Army Museum, Jhula Devi temple, Rama Mandir (temple) and Chaubatia Gardens. At an average altitude of 1,880 meters above sea level, Mussoorie is aptly named ‘The Queen of Hills’ and is a fascinating hill station with its varied and mesmerising flora and fauna. 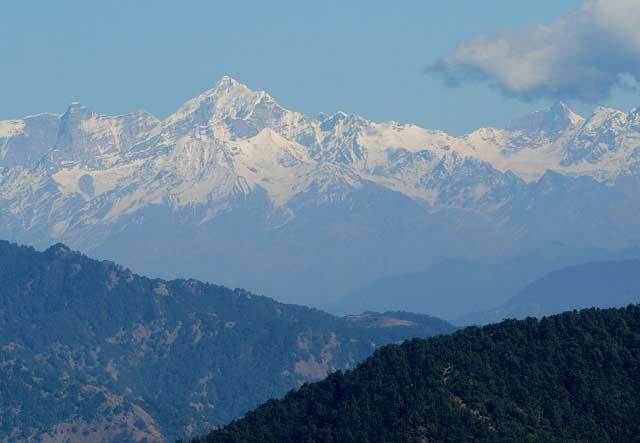 It is located in the Dehradun district of Uttrakhand, at the foothills of the Garhawl Himalayan ranges. 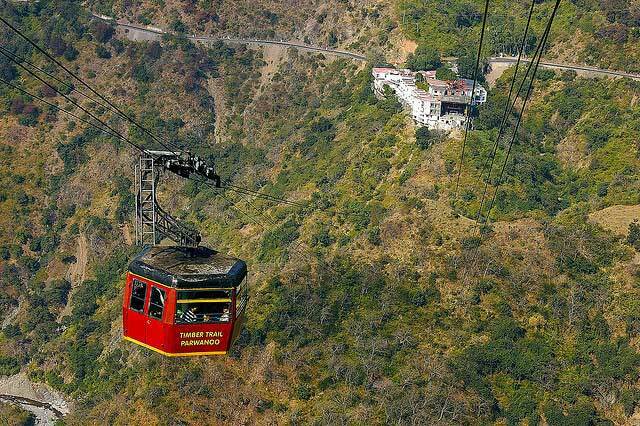 Mussoorie is often described to present a ‘fairytale’ esque environment to the tourists. The places to visit while in Mussoorie include Nahata Estate, GunHill(second highest point of Mussoorie), Kempty Falls, Lake Mist, Municipal Garden, Mussoorie Lake, Bhatta Falls, Jharipani Fall, Sir George Everest’s House, Nag Devta Temple, Jwalaji Temple (Benog Hill), Cloud End and Van Chetna Kendra. Another Cantonment town located in the solan District of Himachal Pradesh at an altitude of 1,927 meters above sea level. Kasauli has a moderate climate, which never exceeds 32 degrees Celsius during summers thus offering the visitors a nice pleasant climate to explore this hill station. It’s considered to be one of the few underrated ‘must visit’ tourist destinations according to the people who have visited this serene hill station. The places you can visit on your trip to Kasauli are Baptist Church, Central Research Institute, Christ Church, and Gurudwara Sri Guru Nanak ji, Manki Point, Hangout Kasauli Regency, Kasauli Brewery and the Kasauli Club. (Distance from Delhi – 300 kms approx.) At an altitude of 2,590 meters above sea level, Kanatal is located 78 kilometres away from Dehradun in Uttrakhand; the hill station offers a spectacular view of the Himalayas. Relatively unknown to the outside world, Kanatal is the perfect retreat for the people seeking refuge from the busy city life; the climate here mostly stays pleasant throughout the year. The highest point in Kanatal – the Surkunda Devi Temple offers a majestic 360 degrees view of the Himalayas. The places that can be visited in Kanatal include Tehri Dam, Kodia Jungle, Mussoorie, Chamba, Dhanaulti and Shivpuri. The headquarters of the District of solan, it is situated 46 kilometres from Shimla and at a height of 1,600 meters above sea level. The hill station has a vast mushroom farming facility and is thus nicknamed the Mushroom City of India, also nicknamed the ‘City of Red Gold’ because of the bulk production of tomatoes in the area. Being the capital of the Princely Bhagat state, solan has a vast amount of cultural heritage associated with it. One must try out the local cuisines which are artful in their preparation and offer a lasting taste on one’s palette. The major tourist attractions in Solan include Arki Fort, Shoolini Devi temple, Hari Mandir, the Solan railway station (one of the highest railway stations in the world), Mohan Shakti National Heritage Park, Dolanji Bon Monastery and the Church in Solan cantonment. 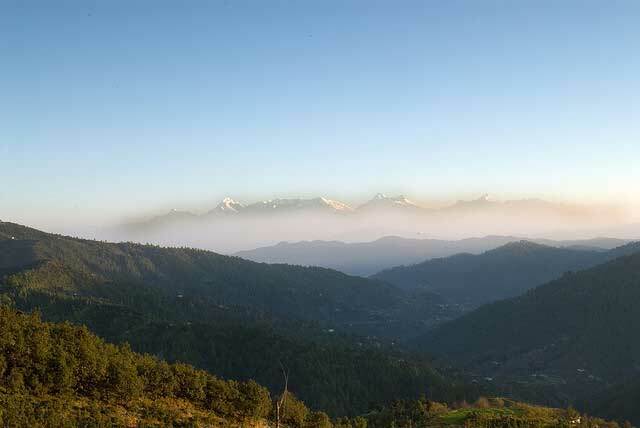 Mukteshwar is situated at an altitude of 2,286 meters above sea level, in the Nainital district of Uttrakhand. Mukteshwar was known for its numerous temples until in 1893, when the government decided to relocate the Imperial Bacteriological Laboratory from Pune to this place, since then the town has been governed by the Indian Veterinary Research institute (IVRI). The famous attractions include orchards of Central Institutes of Temperate Horticulture-Regional Station, 16 mile x 14 mile wide deodar forest, 22 pristine snow-peak views, and the adventure of living among wildlife like tigers and bears. But the real charm of this place lies in its serene, lush green environment which makes the visitors feel one with nature. 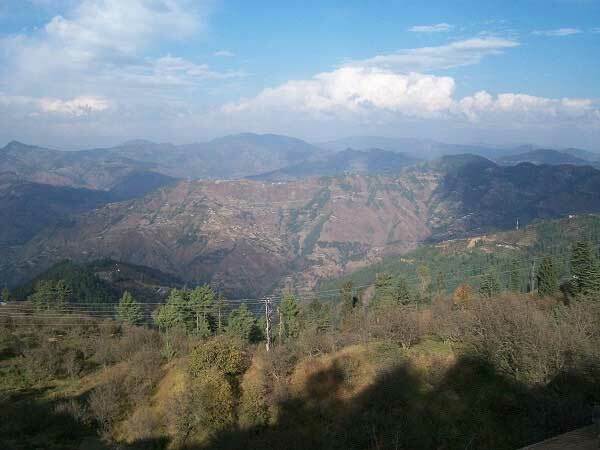 Located in Himachal Pradesh, chail is a hill station 49 kilometres away from Shimla. 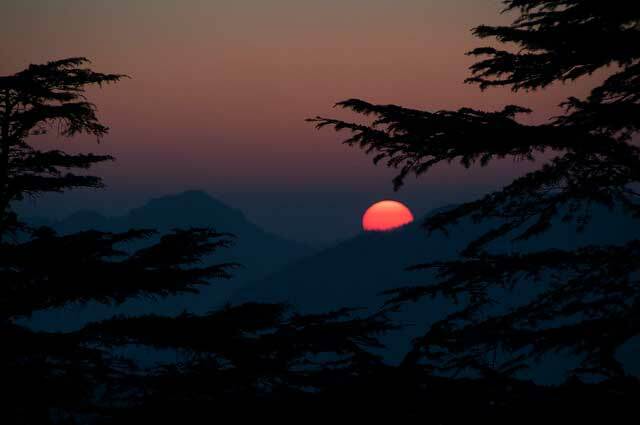 A marvellous retreat from the busy and bustling life of Shimla, chail is considered to be a hiker’s paradise. Situated at an altitude of 2,250 meters above sea level, it’s moderate in summers and cold in winters. The places one can visit in chail are Chail Sanctuary in Sadhupul, Cricket Ground (highest cricket ground in the world), Chail military School and the Chail Gurudwara. Kufri is a hill station located in Shimla district of Himachal Pradesh; it lies at an altitude of 2,743 meters above sea level. Kufri has a Himalayan Wild Life Zoo which hosts rare Antelopes, Felines and Birds including the Himalayan Monal, the state bird of Himachal Pradesh. During winter a meandering path through the potato plantations turns into a popular Ski track. One can indulge in various activities on his/her trip to Kufri like yak riding and trekking on the Mahasu peak. The places that can be visited in Kufri are Mahasu peak, Indira Tourist Park, Chini Bunglow and the Kufri fun world. The hill station is located in the Bageshwar District of Uttrakhand, at an altitude of 1,890 meters above sea level among dense pine tree forests; the village has a very low population of only about 300 people. 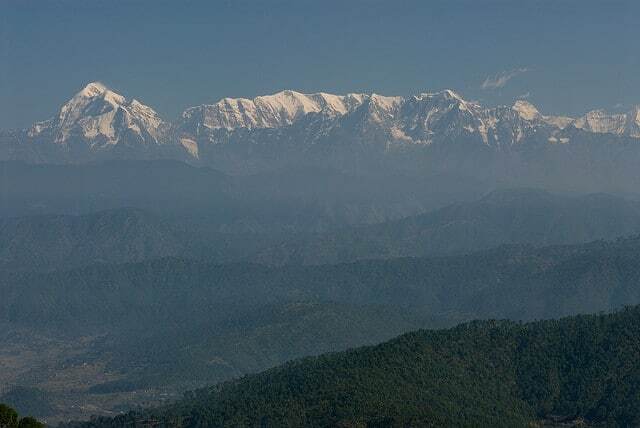 Kausani offers a 300 kilometres wide panoramic view of the Himalayas and is a natural picnic spot. The major attractions in Kausani include the Anashakti ashram where the famous Hindi poet Sumitranandan pant was born, Lakshmi ashram, Tea gardens and the Baijnath group of temples. Palampur is a hill station situated at an altitude of 1,472 meters above sea level in Kangra Valley in Himachal Pradesh. It is surrounded from all sides by thick pine forests and tea plantations, thus naming it as the ‘tea capital the northwest India’, there are various streams of water flowing from the mountains to the plains of Palampur. 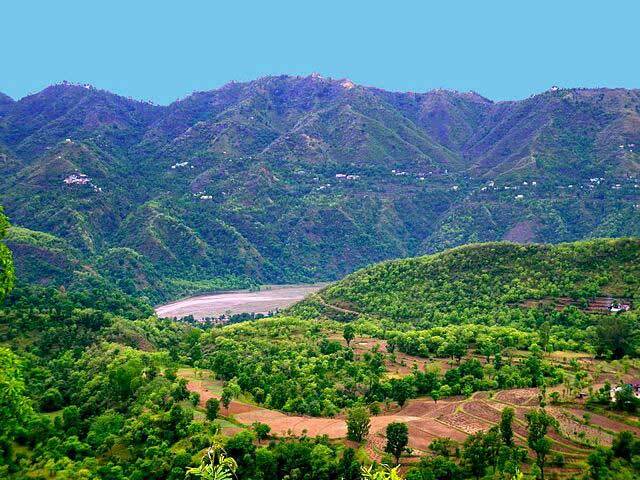 A lush green surrounding offers a picturesque and breathtaking view to this relatively unknown hill station. The prime attractions in Palampur include Neugal Cafe, Sourabh Van Vihar, The village of Andretta, Devi Latti Jakhni’s temple and Mata Bandla Devi’s temple. Auli is a hill station and a prime ski destination in Uttrakhand, located at an altitude of 3,049 meters above sea level. It boasts Asia’s longest cable car which covers a distance of 4 kilometres and also has a chair lift and ski lift. The best time to visit to enjoy skiing is from the last week of January to the first week of March as the weather is highly unpredictable. 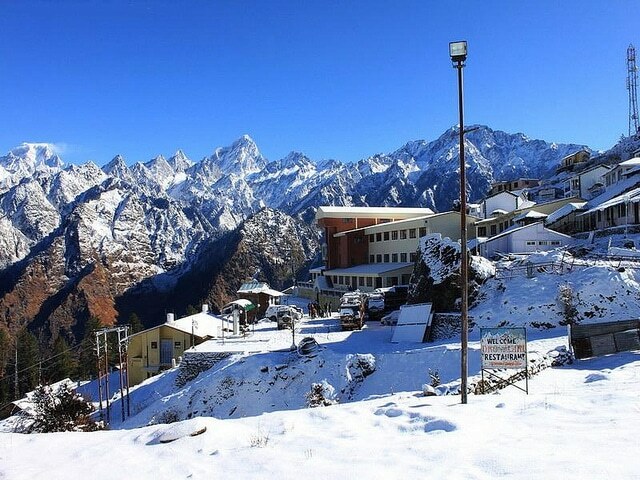 The popular attractions apart from skiing in Auli include Artificial Lake (the world’s highest manmade lake), the 270 degrees view of the Himalayas, Trekking and the Training facility of Indo Tibetan Border Police. Most of the places mentioned above are relatively unexplored paradises of the modern world and you can be sure to find your visit a memorable one and rejuvenating yourself of all the ills of a busy life style of a metropolitan city. We have tried our best to include the hill stations which are near Delhi (also check out: our posts on places to visit in and around Delhi), however making such a list is a monolithic task and just in case we have missed any destinations which fit the list, please feel free to mention the places in your comments. Thanks for compiling the list with details of the places. What about “Micholi” ? The new destination in Uttarakhand. 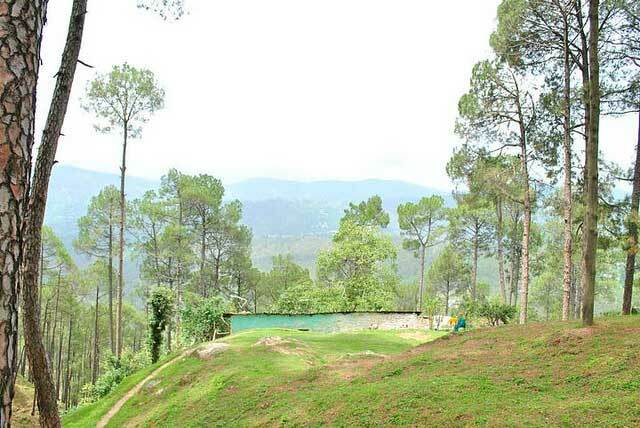 Satkhol near Mukteshwar is a serene place for the nature lovers. “Veselka Resort” provides a perfect home-stay cottage for the people who want to avoid the hustle & bustle of the cities. Sangla , Narkanda , Malana , McLeodganj , Kalpa (Kinnaur) ,Dalhousie are some of the Must Visit Gorgeous Hill Stations which are around 500 km radius of Delhi but provide serene views. Thanks. It is very useful information. I am from Kerala. Planning to visit one or two hill stations near Delhi this summer with my daughter. Walking around is our major activity. Which places do you recommend? With clean and safe accommodation. Good list. 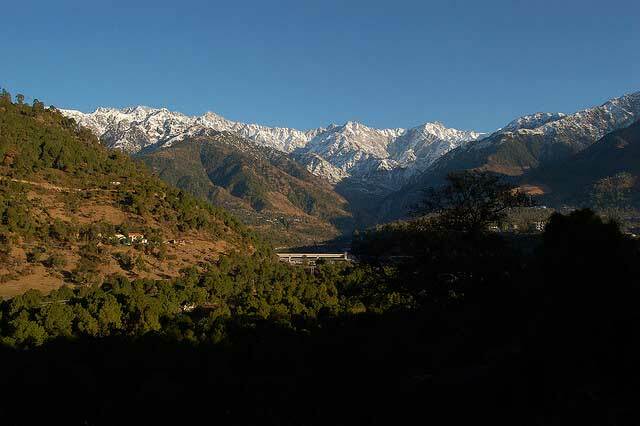 You can also include very beautiful places like Sangla Valley in Himachal, Narkanda, Thanedar, Manikaran and Barog. 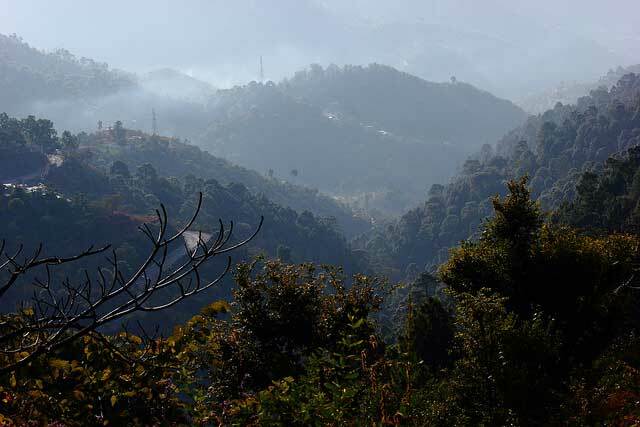 You should definitely visit Mussorie which is called as the Queen of Hills and also nainital. Both places are very peaceful, full of greenry and far away from croud of cities. You will find yourself and your family in heaven. Don’t go to Mussorie and Nainital, both the places are full of crowd. If anyone one wants to enjoy nature, try to go those hill stations which are untouched, like Khajiyar, Munsiyari, Auli and the best one Valley of Flowers. I liked your blog a lot, especially the way you described everything through guidelines. It is very easy to understand for anyone. Thanks for sharing.